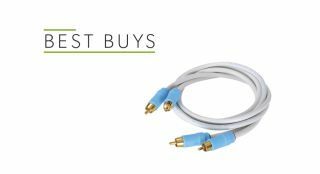 Best audio cables 2018 | Best buys | What Hi-Fi? ...because, like every component in your audio chain, your interconnect can make a significant difference to the sound your system ultimately delivers. We've rounded up the best currently out there, catering for all budgets. So whether you're watching the pennies or splashing the cash, these can make the most of your hi-fi's potential. This relatively cheap cable has been our go-to (in terms of sound quality per pound) for years - it's a great upgrade on your basic freebie cables. Few cables at this price can compare in terms of pure transparency. The Clearway gives your system free rein, delivering all the dynamism your set-up is capable of.